Designed for fisheries derives from a rock, ISO SHIO rods have a full carbon tip for maximum sensitivity. The Powermesh Strong Float rods come with a good power reserves for fishing floater at sea from riprap. 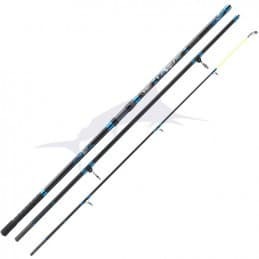 Procaster surfcasting rods feature technical, powerful blanks for casting big baits out at range. 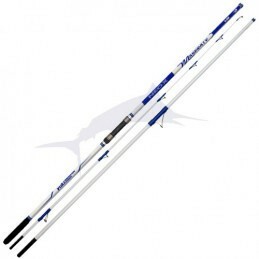 These rods has a thin and nervous blank for launching very large distance. A range dedicated to the sea fishing ! Indeed, it is a series of rods designed entirely for those who practice at sea. A complete set of technical rods made with components at the forefront of innovation and a very fashionable design. The Vengeance Surf range contains 3 different lengths models from 4,25m to 4,50m. Fishing rod 3 strands special surfcasting, novelty of this season ! These rods are made from technical blanks and robust and are equipped with components treated against corrosion.